Searching for a parking spot is so 2014. The BWM i3 electric car took self-parking technology to new level this year. Its remote valet parking assistant uses a system of 16 lasers to locate a vacant space in a parking garage and park the vehicle after you have already exited. It can even come pick you up if you sync the technology with a mobile device. There is one important catch: BMW must have a map of the parking garage for the system to work, so it may be a while before the technology takes off. Texting while driving should soon become a thing of the past since Apple CarPlay and Android Auto make using your smartphone in the car safer than ever. 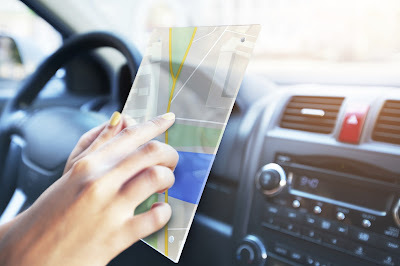 These devices allow drivers to connect their mobile device to their vehicle and use the dashboard HUD screen as a display. Rather than being touchscreen controlled, the device becomes controllable through voice commands. You can dictate messages, and the device can read incoming messages to you. In case rush hour literally sends you into cardiac arrest, Ford's active health monitoring technology uses ECG monitors in the vehicle's seats to track your heart rate. If the system detects that the driver is having a heart attack, the vehicle will park itself and call the nearest paramedics. With the assistance of other devices, the system can also monitor vitals such as the driver's blood glucose levels. Once this technology finally becomes widely available, it could be a literal life saver. What good is a self-driving car if you're still stuck looking at the road? Mercedes-Benz debuted a concept car with four rotating chairs, which allows all passengers to face each other while the vehicle drives automatically. You could comfortably conduct a business meeting or play poker while awaiting arrival to your destination. What's next for car technology? 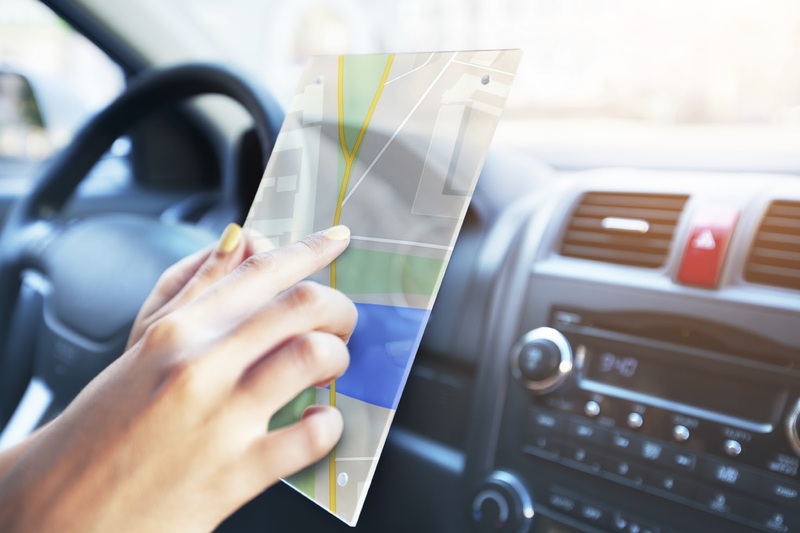 Once Wi-Fi become standard in all vehicles, you can likely look forward to personalized advertisements via your HUD. Don't worry; someone will invent in-car ad blockers soon enough. Any new car technologies you can’t wait to see? Tell us in the comments! If you do not already own one and have the necessary budget, it makes sense for this to be your primary resolution. Since you are reading this list, you are clearly a convertible lover and need to get one in your life as soon as possible. Of course, the timing of this does depend on your local climate, as you may want to push this off until later in the year if now is just too cold for you to be driving a convertible with the top down. One nice benefit of this alternative plan is that you can focus the first few months of the new year on saving up to buy a convertible once the weather warms up. Who said resolutions had to involve sacrifice? 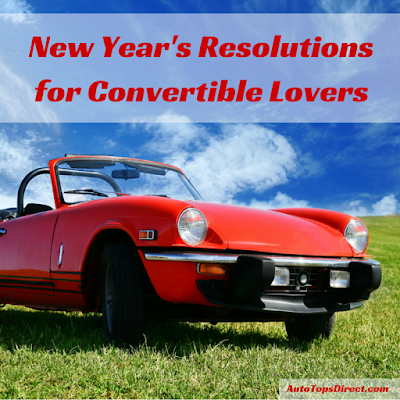 Make a resolution to drive your convertible more often in 2016. You can start putting this resolution into motion now if you live somewhere like California or Florida, or you can inject some sacrifice into this resolution after all and delay your gratification until your weather gets warmer and sunnier. Maybe think up some fun road trips to do in the meantime. These can be to places where you want to be seen such as main drags in cool communities, or perhaps you would rather head to picturesque settings where you can feel connected with nature. This is especially important to do for the convertible top, so why not make maintaining it one of your New Year’s resolutions? When you do clean its top, make sure to use a mild non-detergent based shampoo that is designed for auto use and rinse thoroughly as discoloration can occur if any cleaning material is left there. If you decide that you want to get a new top installed in lieu of cleaning the one you have due to its age or condition, you will want to find the perfect convertible top to fit your make and model. Check out our site today to shop by make and model. What are your New Year's Resolutions this year? Let us know in the comments below!